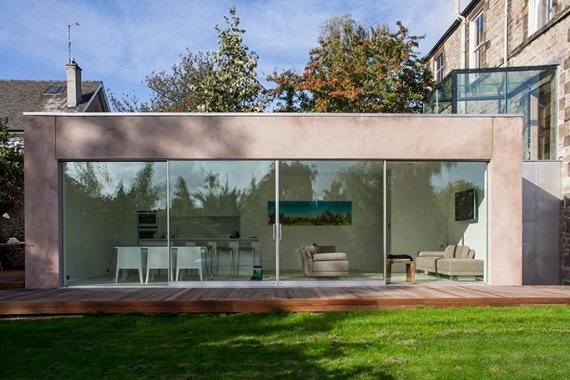 This B-Listed villa in Newington was extended to provide a contemporary new living space. 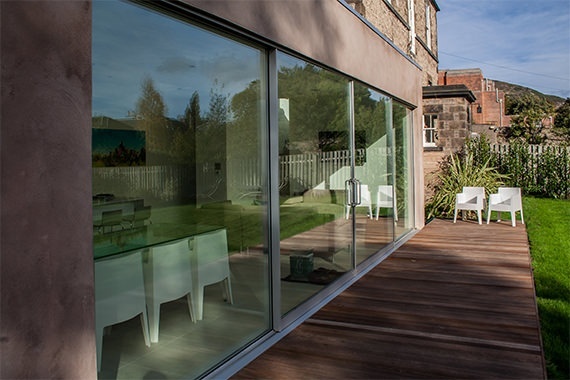 A flat forming part of a B-Listed villa in a Newington, Edinburgh, was extended to provide a contemporary new kitchen, living and shower room. 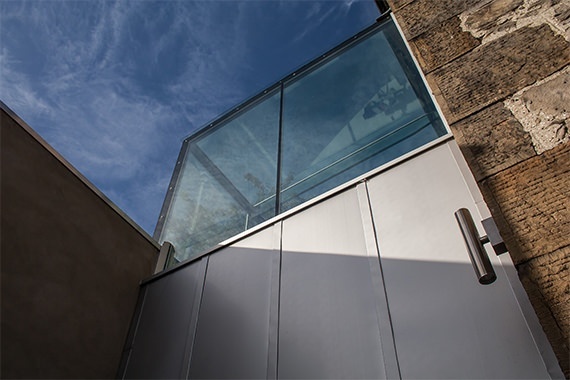 The unusual nature of the project was that the flat is entered at ground level from the front and is at first floor level at the rear – and so the extension had to be entered via an existing first floor window, dropping down to garden level within a glass and stainless steel tower. The extensive glazing was required to satisfy Planning Authorities, who did not want any part of the building to be visible from the street. 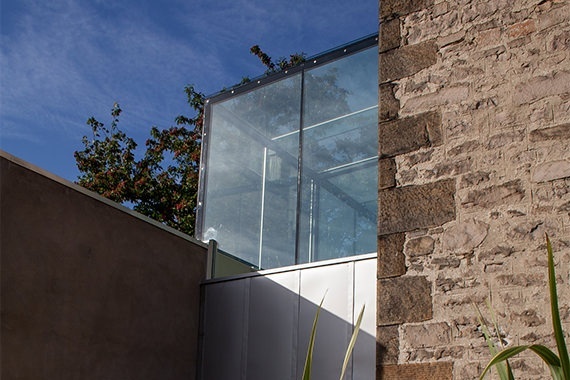 The structure of the main extension is hidden behind an old stone garden wall, and is of timber frame construction, with smooth render finishes. The stair tower is clad in stainless steel. As well as the glass box overhead, it also has a glass floor which spans over the shower area below. 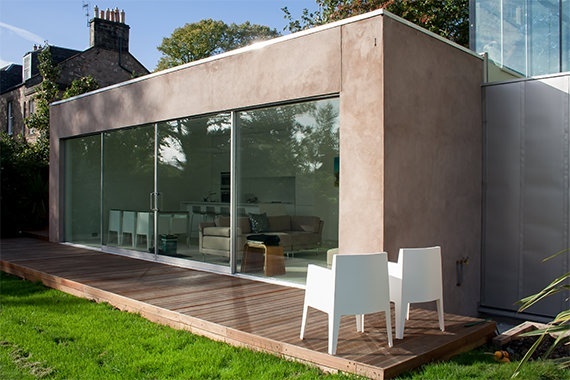 This design came runner-up in the Edinburgh Architectural Association Awards, Small Project Category 2009.